Situated on the scenic shore of Lake Batur, The Ayu Kintamani is a private luxury villa with 5-stars accommodation services with enthralling spectacle of the grandeur of Mount Batur and Mount Abang in the background. The highland area of Kintamani is positioned at the rim of the vast Batur caldera; located just right at the lake edge, The Ayu Kintamani offer dramatic views of the active volcano Mount Batur and serene Lake Batur. Offers luxurious and comfortable accommodation blended with state of the art amenities and top class services including money exchange, airport transfer, valet parking, 24 hour attendance, 24 hour room service, in-villa massage and laundry service. 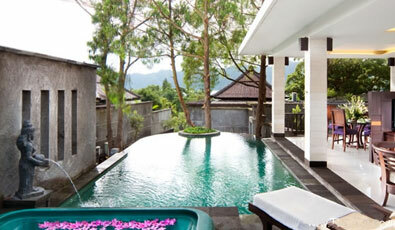 The Ayu Kintamani offers five types of suites namely Deluxe, Executive, Honeymoon, Royal and Majesty Suite. All eight suites has a living room, a bedroom, a bathroom with standing shower in open space, a private pool, and a Jacuzzi with natural hot spring. All suites are completed with air conditioning, cable and entertainment TV, mini-bar, safety box, coffee and tea maker, hair dryer, and free internet access. The Executive Suite called Anandbhavan with pictorial view of Lake Batur and Mount Abang and consists of a living room, bedroom, and bathroom with standing shower in open space and bathtub, private pool, and Jacuzzi with natural hot spring. Completed with air conditioning, cable and entertainment TV, mini-bar, safety box, coffee and tea maker, hair dryer, and free internet access. 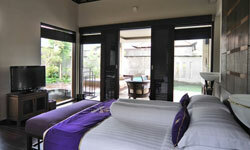 The Honeymoon Suite called Suhagrat with a mini garden and a fish pond under the footpath. A living room that equipped with cable and entertainment TV, and 6-seat dining set; bedroom with a generous size bed; bathroom with a whirlpool bathtub, two wash basins, open space standing shower with wall mounted body shower. 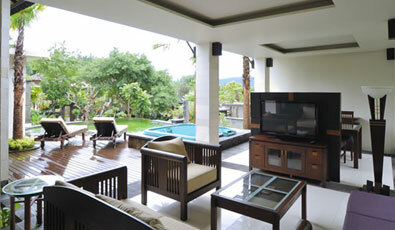 It is also equipped with a heart-shaped pool and a Jacuzzi with natural hot spring. 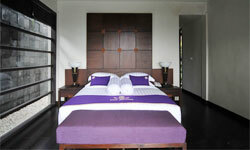 Two Royal Suites, Mandhur Lila and Subhan Mila. 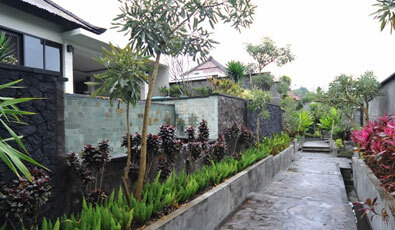 Both have a mini garden and a square fish pond with black beach stones and Balinese frangipani tree. 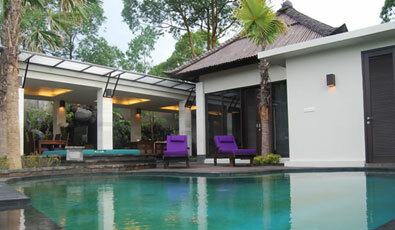 Subhan Mila has a double-sized Jacuzzi and deeper pool than Mandhur Lila. 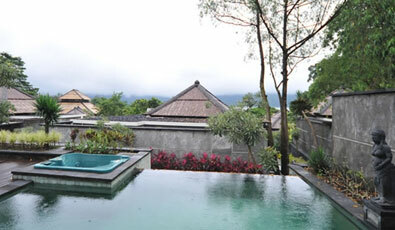 The Suites have Lake Batur and Mount Abang panorama and also the view of a plaza hosting traditional dance and Pura Merajan. 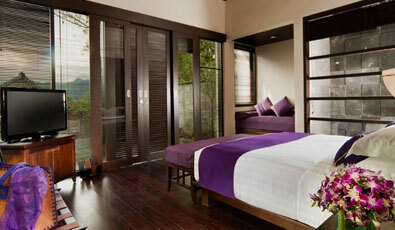 All of suite features and facilities are provided. 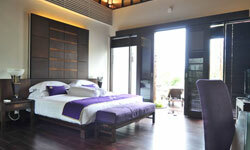 Majesty Suite is redefining of luxury living. This Suite has a gazebo standing in the middle of a fish pond and comprise of bedroom with king size bed, dining room, living room, private pool, Jacuzzi, open space bathroom, wi fi access, IDD telephone, AC, safety box, see-through entertainment centre, mini bar and hairdryer.